Dell has launched its new XPS 15 2-in-1 laptop at CES 2018, calling it the smallest and most powerful and 15-inch 2-in-1 ever. It runs on the newly-announced 8th generation Intel Core CPUs with integrated Radeon RX Vega M graphics from AMD on the same chip. Dell says due to this it has been able to shrink its overall motherboard size by about 50 percent. 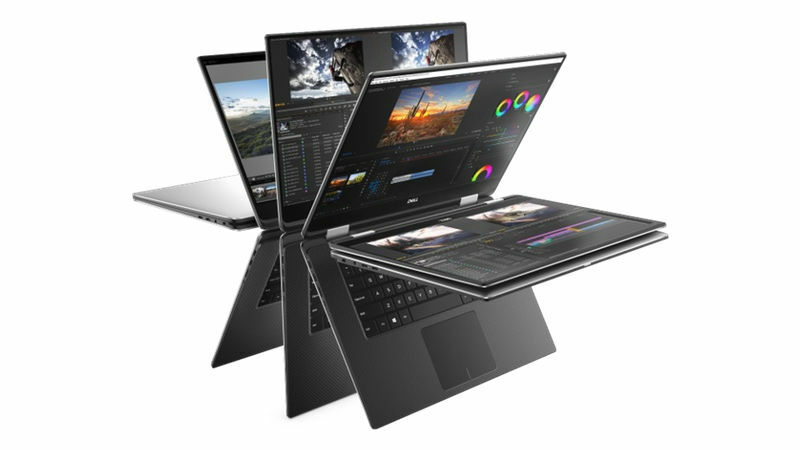 The Dell XPS 15 2-in-1 ships with full-HD and 4K UHD display resolution options available and its screen has 100 percent RGB colour gamut. The 2-in-1 will be only 16mm in height and will deliver over 15 hours of battery life, the company says. It supports Dell’s Active Pen stylus and the XPS 15 2-in-1 will even have magnets built into it so you can mount the Active Pen and carry it around with you. Dell announced a partnership with actress and entrepreneur Nikki Reed, who will be launching a new jewellery line using gold taken out of technology. This is Dell’s attempt at sustainable technology, as only around 12.5 percent of the metals used in products across the industry are brought back.